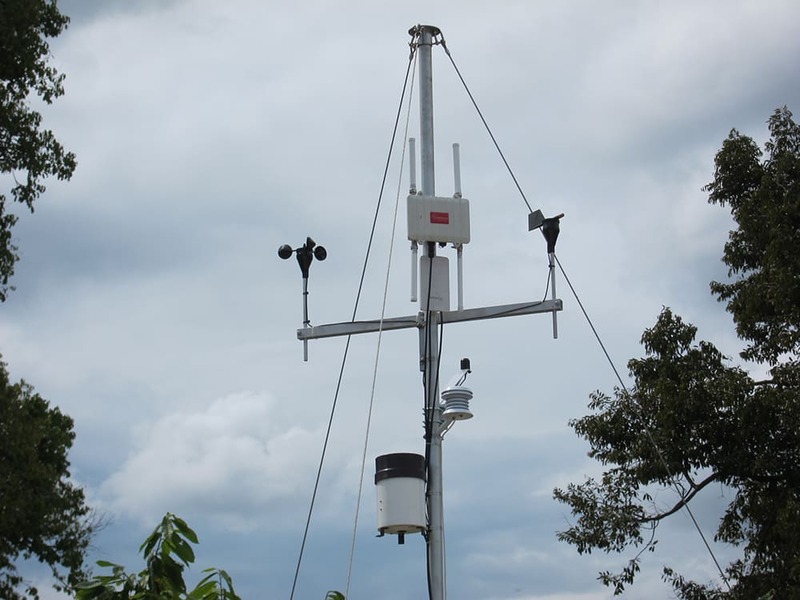 Monitoring the environment with Waspmote sensor technology and Cloud analytics helps Indonesian farmers improve cocoa production and face climate change. Modern farming methods based on wireless sensor technology can boost productivity, create economies of scale, and help communities thrive. 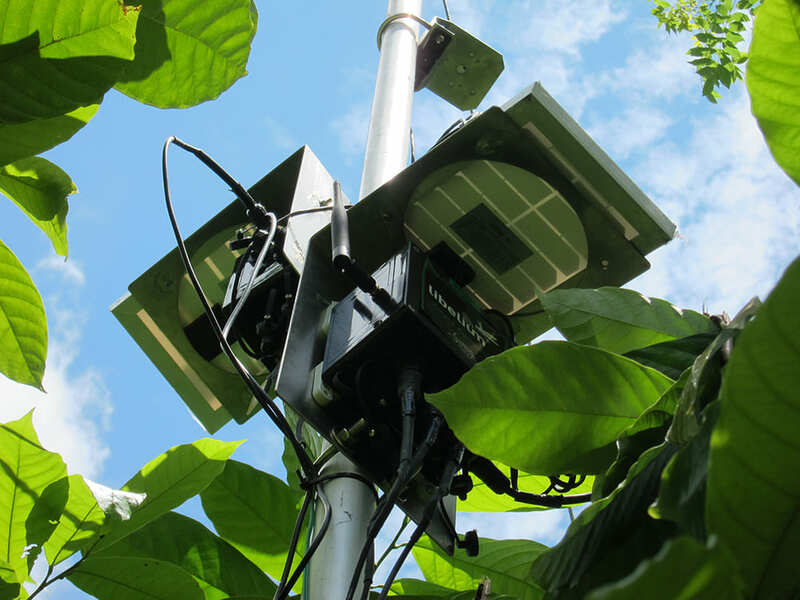 Singapore-based IoT solution provider BioMachines designed a wireless sensor network system integrating Waspmote Smart Agriculture sensors to measure environmental parameters in the cocoa fields of tropical Indonesia. 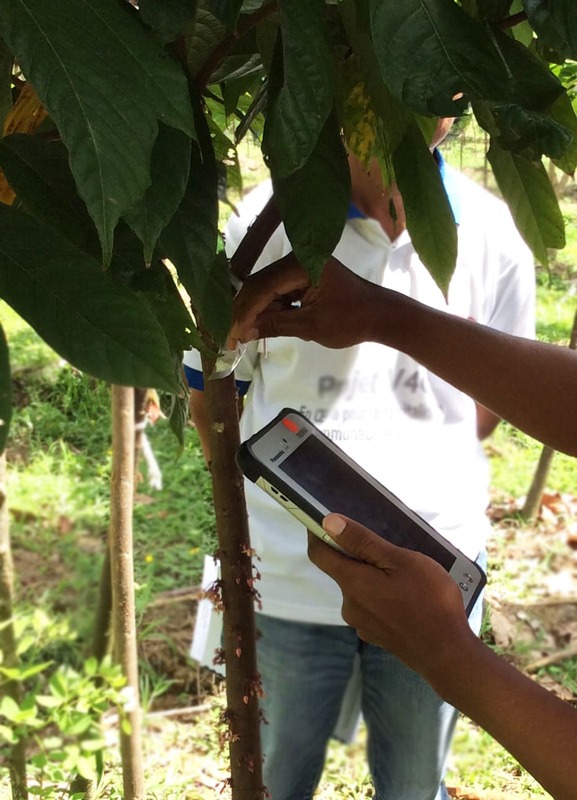 The solution collects environmental data from laboratory and field-based experiments, and facilitates knowledge transfer to cocoa farmers. The cocoa plant grows in tropical environments, throughout the wet, rainy regions of Africa, Asia and Central America. According to the World Cocoa Foundation (WCF), Indonesia is the third largest cocoa producer in the world, and this cash crop is strategically important to the country. Cocoa is big business based on smallholdings and intensive farming: 80-90% of cocoa production comes from small, family-run farms, typically 2-4 hectares (5-10 acres). 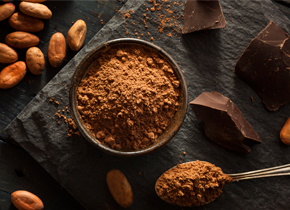 Expected growth in cocoa consumption is on the rise, partly due to pressure from markets in the developing world that have acquired a taste for chocolate. The International Cocoa Organization (ICCO) estimates that demand will exceed supply in 2020, by a potential 1-million ton deficit. In 2014, Indonesia produced 450,000 tons of cocoa beans, according to the Indonesian Cocoa Association (ASKINDO). The figure contrasts starkly from peak production of 620,000 tons in 2006. Askindo’s estimation of an 11% decline in 2015 marks a 10-year low. In Indonesia, the factors contributing to the decline in cocoa production include effects of climate change; aging trees prone to pests and diseases; and lack of scientific knowledge on the crop, at the farm level. To determine a set of best breeding and agronomic practices, researchers, plant scientists and agronomists looked for a way to collaborate through laboratory and field-based experiments in the cocoa fields in Indonesia. The Internet of Things (IoT) solves one of the major challenges of access, via remote monitoring systems. 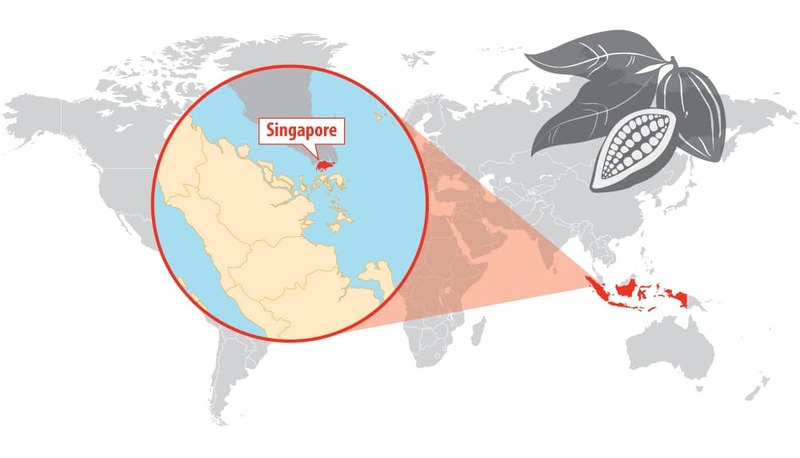 The Indonesian cocoa farms and research stations are located in far-flung areas that previously required experts to travel for days in arduous conditions to access the field and the data. 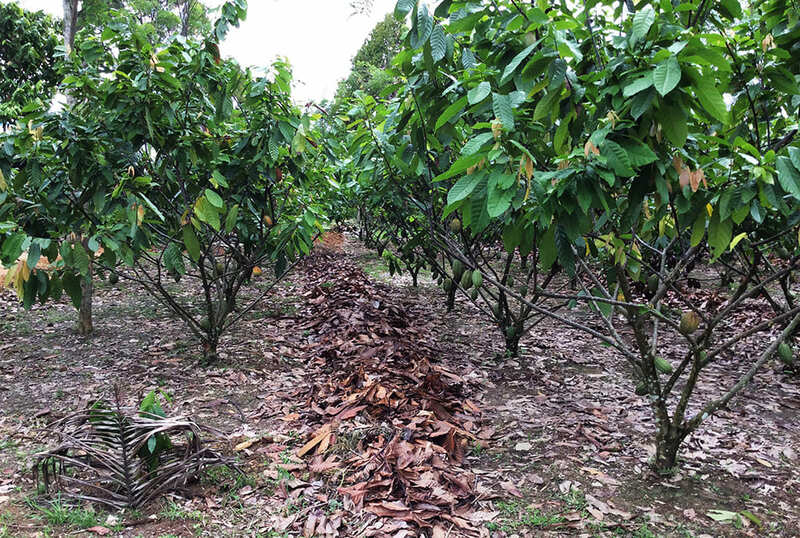 As part of Indonesia’s Sustainable Cocoa Production Program (SCPP) BioMachines worked with a client organization to transform a remote site into a Smart Cocoa research station that monitors environmental parameters, automatically manages data collection and storage, and transmits information to the Cloud. The Smart Cocoa research station provides information to enhance sustainability and the commercial viability of important elements in the cocoa sector value chain. For this project, experts from Australia, France, Indonesia, the U.K. and the U.S. work together to adapt local cocoa production practices to a changing climate. 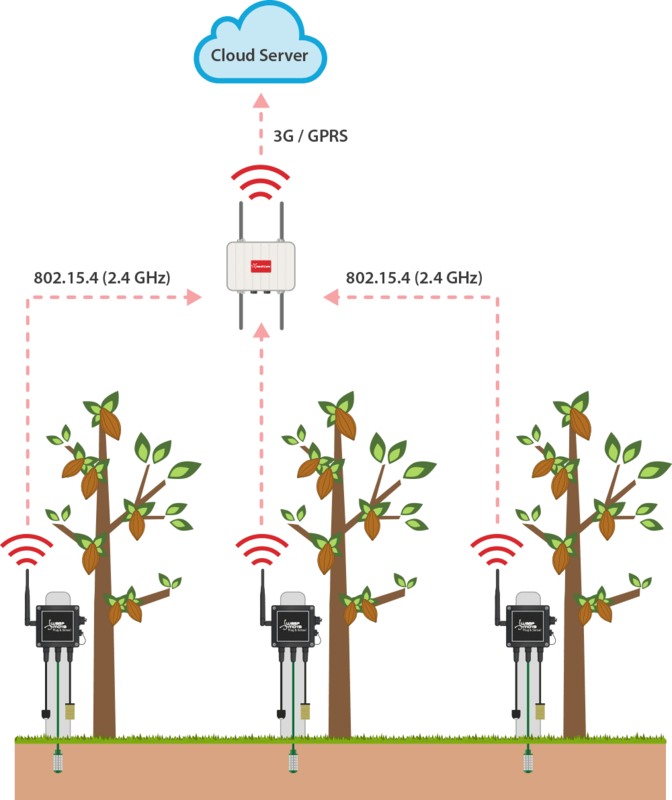 This involves coupling real time measurement of environmental factors with scientific observations and manual data collection from trees equipped with near field communication (NFC) tags. The Indonesian government has implemented programs to provide disease resistant clones and to encourage farmers to take care of the environment to deter pests. The Smart Cocoa research station is capable of tracking the cocoa tree diseases that blight output, including the cocoa pod borer (CPB) insect, vascular streak dieback (VSD) and blackpod. Fungal diseases, also known as root disease, are dangerous and contagious. Damage from root disease is often due to poor understanding of farm management, particularly in humid farms that experience frequent rainfall or flooding. Indonesia’s efforts for sustainable crop management includes field schools for farmers to improve knowledge of farming techniques, and help to establish best practices to break the infection cycle and prevent infestation. Development of pest-resistant cocoa clones. Learning and sharing techniques to rehabilitate old or unproductive trees. Prevention of deforestation, important for sustainability and climate concerns. Smart Agriculture sensor network with Waspmote Plug & Sense! BioMachines selected Waspmote Plug & Sense! models because they provide protection against harsh outdoor conditions, essential for this field deployment. Smart Agriculture Plug & Sense! A total of 50 Waspmote sensor nodes are installed within range of the cocoa research facility, sending information continuously to the Libelium Meshlium gateway that boosts the signal, stores, and transmits data to the Cloud. BioMachines installed Waspmote Plug&Sense! Smart Agriculture Pro sensor nodes to monitor several combinations of environmental parameters, which vary according to experiment design. In addition to the standard Smart Agriculture Pro sensor sets, Libelium designed a new, customized Waspmote sensor board to collect soil volumetric water content, and soil electrical conductivity data for the project. On-site research managers to assign data collection tasks to field staff, directly synchronized to their respective tablet devices. Access and visualization of sensor, environmental, and NFC data by on-site and off-site researchers. Because Internet connectivity in the rural site can be unstable, a local server system is also deployed as an interim solution to store information for task management and field data collection, without incurring data loss. The collected data are sent to the Cloud when connectivity permits: this allows the off-site researchers and collaborators across the globe a means to access, visualize, and analyse the data from the on-going experiments. Read more about Libelium sensor product lines in the Waspmote, Plug & Sense! and Meshlium gateway websites.